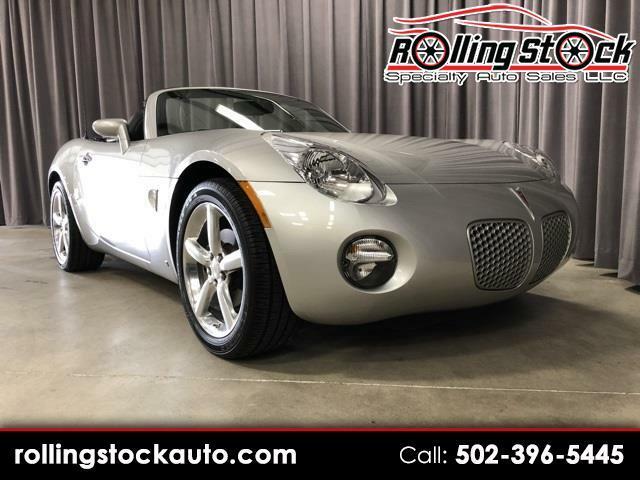 2009 Pontiac Solstice- 1 Local Owner with Only 23K Miles Sold New at Sam Swope Pontiac in Louisville Kentucky, Clean Carfax Report with Documented Dealer Service History. Always Stored In a Climate Controlled Garage. This Might Be The Newest Example of a 100% Original Solstice in the Country and Its Currently on Display at My Louisville Indoor Showroom, I Have All Books, Keys and Remotes. Contact Cary Donovan 502-396-5445 to Schedule Your Appointment to See this Awesome Solstice.